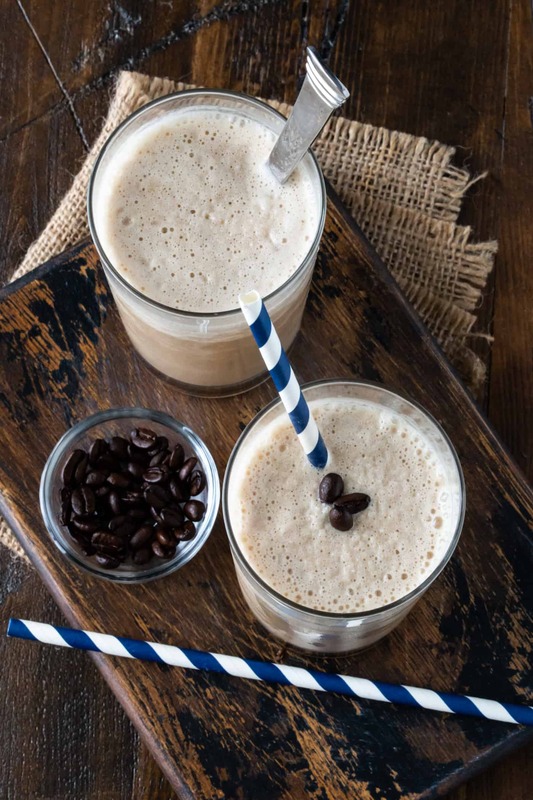 Protein-packed and full of coffee flavor, this Easy Coffee Smoothie makes breakfast a snap! It’s no secret that I am a coffee lover, and my day is not complete unless it starts with coffee in some way, shape or form. And even though I’m an early riser, I don’t always have time to leisurely sip on coffee and eat a good breakfast. 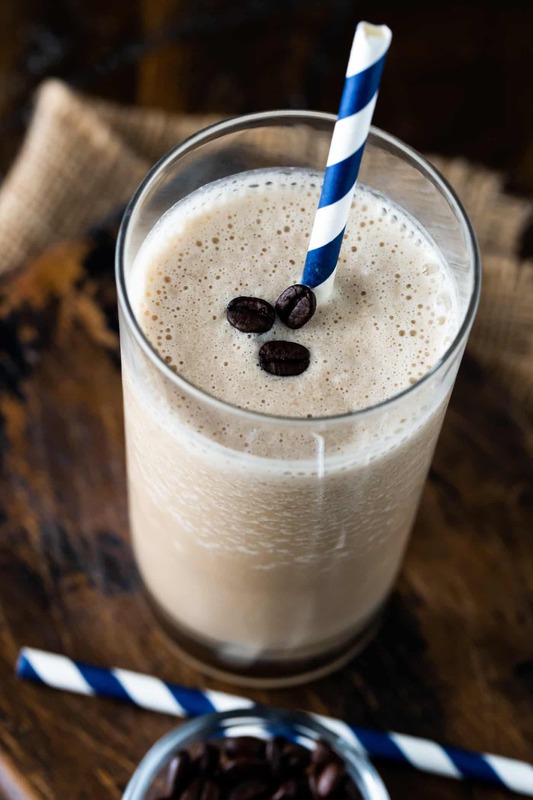 But this Easy Coffee Smoothie combines the best of both worlds in one and helps me jumpstart my day. Is there anyone else who makes a pot of coffee in the morning and not drink the whole thing? That isn’t always the case with me, especially since I have my new favorite coffee machine, the Technivorm Moccamaster. It brews right into the carafe and stays hot ALL day. How is that for an amazing coffee maker? But on those days I do have coffee leftover, I pop it in the fridge and make a batch of these Easy Coffee Smoothies. 1. A good blender. Now I know not everyone can splurge on a top-tier blender, but I highly suggest you save up your pennies because they make a huge difference in how quickly you can pull together a batch of smoothies. Make sure you start with your favorite coffee. The coffee flavor is prevalent, so don’t use anything you wouldn’t drink on its own. Freeze bananas in individual freezer bags and you don’t need to worry about having one on hand. If you don’t use a frozen banana your smoothie will be thin and soupy. Like even thicker smoothies? Add a few extra ice cubes. Use whatever sweetener you prefer. I love the flavor the agave syrup adds, but feel free to use your favorite. This vanilla protein powder is our current favorite. We’ve tried a number of them but keep coming back to this one. It’s organic, too! Can I make these smoothies ahead of time? Absolutely! Simply make a batch of these smoothies and freeze in individual containers. Place the smoothie in the fridge the night before and your smoothie is ready to go in the morning. Breakfast doesn’t get much easier! So embrace your busy mornings and take breakfast off your list of things to get done. 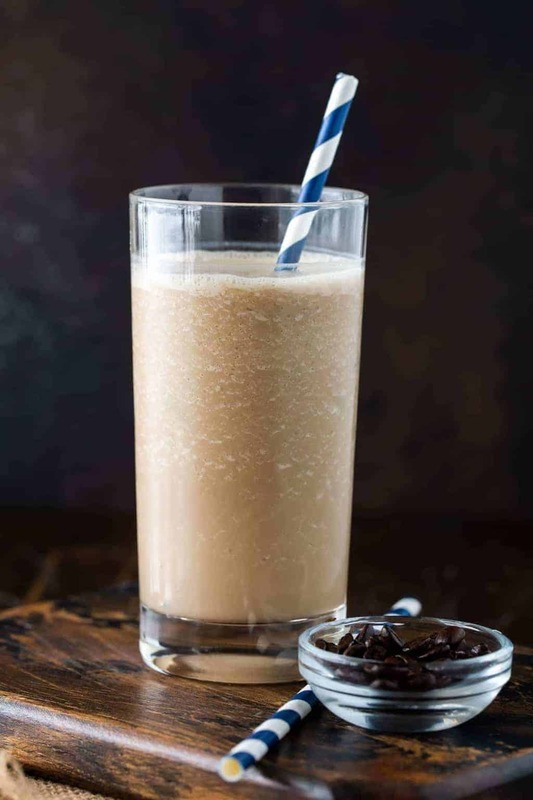 This Easy Coffee Smoothie recipe can be made ahead of time and combines breakfast with my favorite morning beverage all into one. I’d say that’s a win-win all around. Place all ingredients in a blender and blend until smooth. Add more ice if thicker consistency is desired. Serve immediately. Oooh, sooo tasty! I don’t drink coffee anymore, but I’d be ALL over this amazing smoothie! It’s such a great smoothie! I even freeze some so I always have them ready to go! I’ll bet my college daughter will be all over this idea! This is something I totally need to make!! 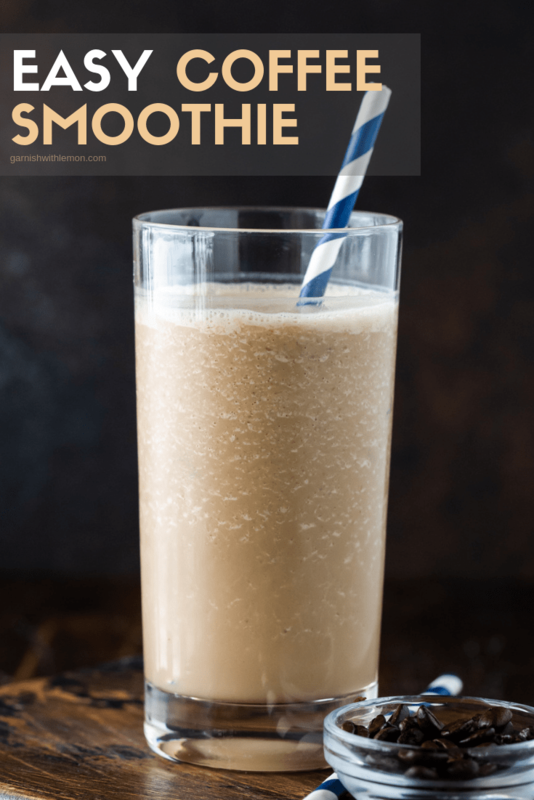 Coffee + smoothie – the perfect breakfast! Definitely a great way to start any day! Coffee flavored smoothies are the best! This will be a regular recipe I make in the summer for sure! I have made something similar once and the flavors of coffee and banana are amazing together! We usually do not do smoothies as there is so much sugar involved but you have taken it to another level. Love the coffee addition as well as the banana! YUM! I love smoothies, but I always feel so weird making them in the morning while I”m still drinking my coffee (which is not optional – ha!) This solves everything! I’m always eating on the go… and this is going on my menu this week! Looks so delicious! If you don’t have agave on hand what can be usd as a substitute? You can easily replace the agave with honey or maple syrup!